Although a large traditional rucksack at 32 litres, this 1.6kg product is something of a travel classic. It’s been around for years and it’s no surprise why; it’s as versatile for multi-day hikes as it is for ideal for backpackers looking for something highly portable and well-organised. The bigger the pack, the more a ribbed frame is needed to banish a sweaty back and spread the weight, though the curve in the shape of the backpack which it creates is more noticeable in the Deuter Futura 32 backpack than in smaller examples. No matter, because that back system and a strong hip belt really do work well under pressure. Fitted with a rain cover and compression straps, this backpack is narrow enough for mountaineering yet very tempting to take on the road; the Deuter Futura 32 backpack’s build quality is excellent and there are front and top pockets as well as a split compartment. The prize for the best pocket on the Deuter Futura 32 backpack goes to an inside compartment designed to keep wet clothes away from the rest; it’s ideal for a trek towel or wet clothes. That’s stunning attention to detail – and it’s great for backpackers as well as hikers. 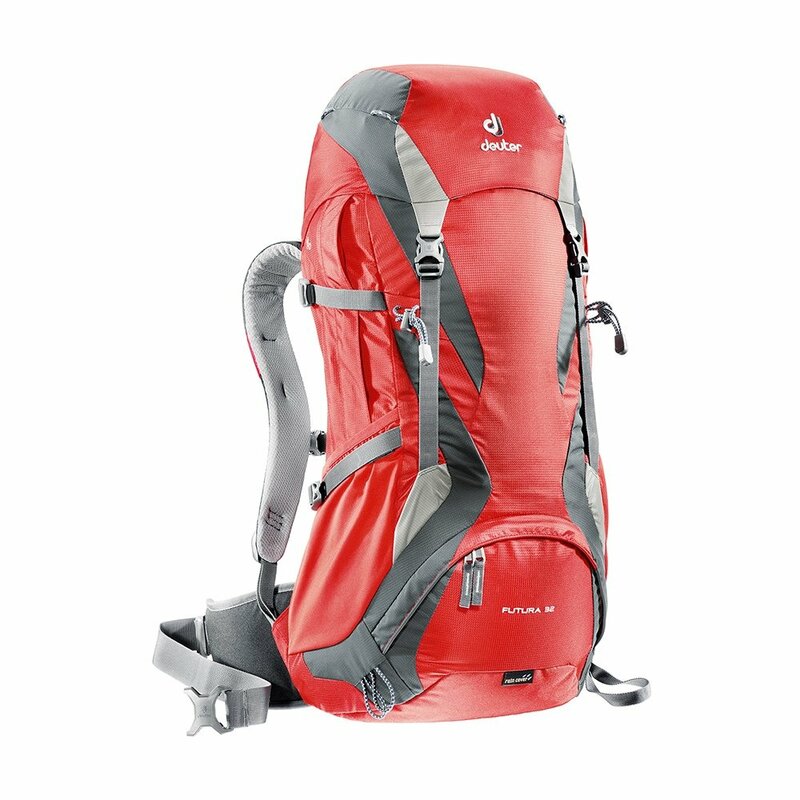 For those looking to slim down while on the road without going to extremes, the Deuter Futura 32 backpack is perfect. A real all-rounder, its tough yet creative construction avoids a sweaty back. Hikers and backpackers will love it.